Why The Law Was Given:Is God Capricious? Is God Good? Did God arbitrarily make up the laws? When we try to argue that God’s moral values are applicable to everyone and should be used as a basis for legislation, we have to first prove that God is not capricious. What my Hindu friend had been reading was the atheist claim that God arbitrarily decides what is good and what is bad. That, they say, makes Him capricious and His laws unworthy. Let me provide you with a definition of the word capricious. The quote at the beginning of this chapter from the Council for Secular Humanism claims God is capricious and whimsical; He randomly decides what is good and what is evil for no good reason. This was Socrates’ question to his student Euthyphro. If you are quite sure there is a difference between right and wrong, you are then in this situation: Is that difference due to God’s fiat [decree/command] or is it not? If it is due to God’s fiat, then for God Himself there is no difference between right and wrong, and it is no longer a significant statement to say that God is good. In other words, Russell said that if good is good because God randomly decided what was good, then good is not really good. It is arbitrary. But if good is good because of something separate from God, then God is not sovereign because He’s a slave to this goodness and thus goodness is greater than God. Is Russell right? Of course he is not, and I’ll show you how to refute him completely in the next few pages. Is whatever we do for God good? In many ways, the Gestapo Captain was a relativistic thinker just like the liberal Rabbi. The Captain thought that whatever he did for the Nazi party or the German people was automatically good and that morality was something that the Nazis, not the Jews, got to define. In the same way if we were to say blindly that whatever we do for God is automatically good, it could lead to relativistic thinking and the claim of capriciousness. So let’s see how we can refute this claim. First, we must understand that it’s important that the laws that we are given be non-capricious real laws with real consequences. If God were to give us laws that had no real consequences and merely order us to obey them because it was His whim, then He would indeed be capricious. And those laws would be illogical, unnecessary, random and arbitrary.5 Sadly many Christians don’t seem to realize this. I personally didn’t either until I had to respond to an atheist about it. 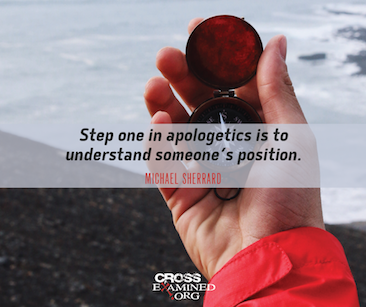 (This is one of the reasons for my zeal for apologetics). od who created us. The latter being the more serious crime, but understandably not one that we wish to legislate. And that is our second point. Let me explain. It’s not that God has arbitrarily determined what good is. Nor it is that He is beholden to a higher value than Himself. It’s just that His very nature is one of goodness. God is good. God is by nature good. Goodness is who He is. God could no more decide tomorrow that torturing babies for fun was good than he could ever stop being God. Yes, God is enslaved but He is enslaved by His own nature. He is enslaved to God. He is enslaved to Himself. It’s that vicious cycle similar to God having to be the center of His own praises. God could no more stop being good than He could stop being God.6 Good is good, and God is good. Their sources are the same. But as we have already shown it is actually circular reasoning if you try to create a definition of good without a supreme moral giver. You need a standard and you need a standard giver. Since my atheist friends cannot come to a definition of good without a standard, they are in a similar dilemma. At least our theory has explanatory power and is self-consistent.7 Do note, however, that I do not use this methodology to prove the existence of God. There are enough other ways to do this (all outside the scope of this book, see “Who is Agent X? Proving that Science and Logic show it is more reasonable to think God exists,” Neil Mammen, Rational Free Press, 2009). Since the source of the definition of good is self evident, and the character of God is good, then it follows that God and the source of good can be the same. So there is no capriciousness in God. But is it circular reasoning? It isn’t, if I can show that God has to be good to be God. It’s not circular reasoning then because being good inherently is a necessary condition for any god to be the God. Let’s look at this. God could not be anything but good. In other words, there could not exist a god, who was bad, or a god who was irrational, or a god who was not loving. Why? Because it would not work. An irrational god would self-destruct and could not last for all eternity. An evil god would never survive. A deficient god who was in any way not self sufficient, or in any way destructive, or in anyway not ‘just,’ or not loving could not last for infinity as his own shortcomings would destroy him. How can I prove this? Quite simply: Bad cannot exist except as a privation of good, bad is a corruption of good. What I mean by that is that there is nothing such as “bad,” bad only exists if good is corrupted.8 If good ceases to exist, bad will cease to exist as well. A good example is a shadow (note, I don’t mean darkness9). A shadow cannot exist without light. If a shadow were to destroy all light, it would destroy itself. All that would be left is darkness, which is not a shadow, it’s nothing. That means infinite bad cannot exist, as it will cease to exist as soon as it becomes infinite. Since by necessity God is infinite10, He can never be infinitely or perfectly bad, as He will self-destruct (of course, the concept of God self-destructing doesn’t make sense, and that’s why we see that a bad god is impossible). People can argue about it any way they want, but if they adhere to logic they’ll end up coming to the same conclusion. So, as we can see, good can exist without evil. However, evil will destroy itself without good. Thus to exist, God must be good. Good must be a core characteristic of God. It’s not separate. Bertrand Russell has been refuted. Note too that “Good” as we see, is a transcendent value. Good existed long before a universe existed. Similarly 1+1= 2 long before any universe was created and it will still be true after all universes have died a heat death. There are no possible universes where 1+1 is not equal to 2. Mathematics is a transcendent art. So are truth, justice, logic, rationality, love, reason and well, set theory among others.13 They are all part of the very intrinsic nature of God. They are transcendent and eternal. e to buy my life…” but let’s assume like most of the Jews who were sadly killed, he doesn’t have anything that the Gestapo Captain needed, that the Captain couldn’t have taken anyway. 5. Someone could argue that the command by God in the Garden of Eden, “Don’t eat of the Fruit of the Tree of Knowledge of Good and Evil,” was capricious. But that would be presumptuous. Whenever we are dealing with an intelligent agent like God, presuming you know all the parameters as a human is illogical. We can’t argue from the lack of evidence. In addition as mentioned in an earlier footnote, if God did not give Adam the ability and opportunity to reject Him or disobey Him, He would not have truly given Adam freewill. 7. William Lane Craig, one of this century’s best debaters and philosophers, has used this argument quite successfully in many debates against atheists. I.e. if objective moral values exist, then God exists. Objective moral values do exist, thus God exists. See www.williamlanecraig.com. I always describe Dr. Craig this way: He’s the guy who, after he’s done debating an atheist, you actually feel sorry for the atheist. In his winsome manner, Craig destroys every single one of their arguments. Most atheists don’t know what hit them. 8. One could try to argue that bad is a corruption of an amoral thing as well. For instance, a knife is amoral, for one can use it to kill instead of cut an apple. But the very existence of that knife is “good.” It is good that the knife exists because it is useful and has purpose. Non-existence would be the only truly amoral thing, but non-existence is not an option if anything at all exists. 9. Darkness would be nothing or amorality in this example, i.e. neutrality- neither good nor evil. 11. I have a trick question that I use now and then. I ask, “Who is the opposite of Satan?” The answer is not God. Satan is a created being not a creator. He is not omnipresent in time and space and all dimensions. He is not omnipotent or omniscient. The closest opposite to Satan may be one of the archangels. If you ask, “Who is the opposite of God?” The answer is “No one” No one can be the equal and opposite of the Almighty Eternal Creator.This also means that Satan must be of such a mind that either he knowing that he can never destroy God wishes to be a thorn in God’s side till he Satan is destroyed or thinking that he can destroy God is willing to destroy himself to do so. 12. This is similar to the concept of Total Depravity. We humans are totally depraved, but we are not absolutely depraved. This means that while we have a depraved sin nature, not everything we do is sinful or destructive. 13. Note that physical, atomic, and chemical laws are not necessarily transcendent because they did not causally (that’s cause-ally not casually) exist before the universe was created and one could feasibly reason than a universe could be created with different laws.